Urban Studies is an independent publishing house based in Tower Hamlets and focuses on the problems that arise from urbanistation. Why did Urban Studies get involved with the Zero Emissions Network? Urban Studies were looking to make day to day work transport more sustainable and took on a free electric cargo bike trial for a day. How did it benefit the business? 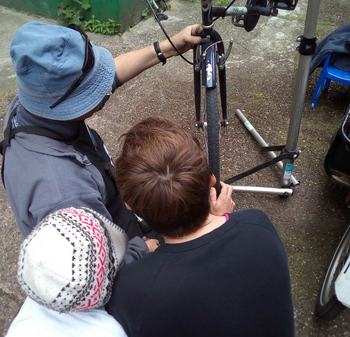 The business was able to understand just how convenient zero emissions travel by electric cargo bike can be for a publishing house and intend to apply for a grant through the Zero Emissions Network to fund their own electric cargo bike. Trenton and his wife also signed on to a resident express Fix Your Bike course. 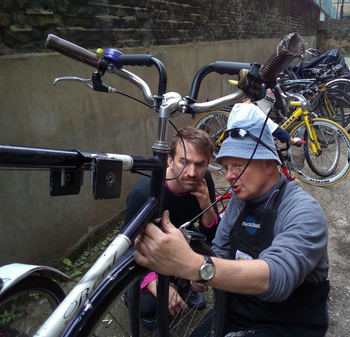 At one and a half hours long, the express course is half the length of our regular course and helps people get to grips with the basics of bike maintenance. 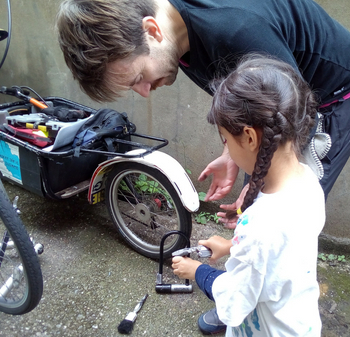 Our expert mechanic travels to your home or nearby park and gives you a hands on experience, teaching you the essential skills required to look after your own bike. Interested in an electric cargo bike trial? Get in touch with the form below.